With the advent of the Semantic Web, which makes use of formalisms based on Description Logics (DLs) for knowledge representation, it has become increasingly important to tackle the problem of managing uncertain information. 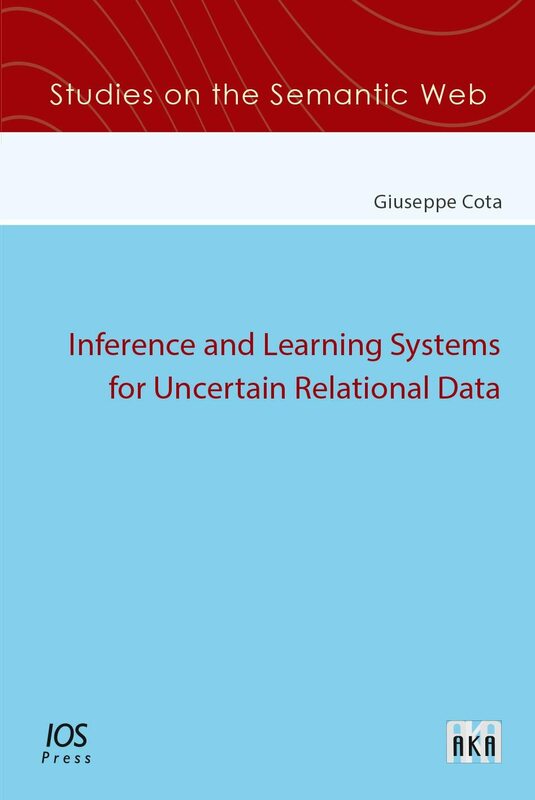 The main goal of this book is to propose inference and (distributed) learning algorithms for Probabilistic Logic Programs (PLPs) and Probabilistic Description Logics (PDLs). Moreover two web applications are presented: cplint on SWISH (http://www.cplint.eu/) and TRILL on SWISH (http://trill-sw.eu/) that allow, with just a web browser, to perform inference over PLPs and PDLs respectively. The book provides guidelines for using all these systems. The book is self-contained and progresses from the most basic concepts of First-Order Logic to the most advanced issues of Statistical Relational Learning. It is structured in such a way that it will be of interest to both beginners and experts who want to learn about the state-of-the-art of inference and learning systems for probabilistic logics.